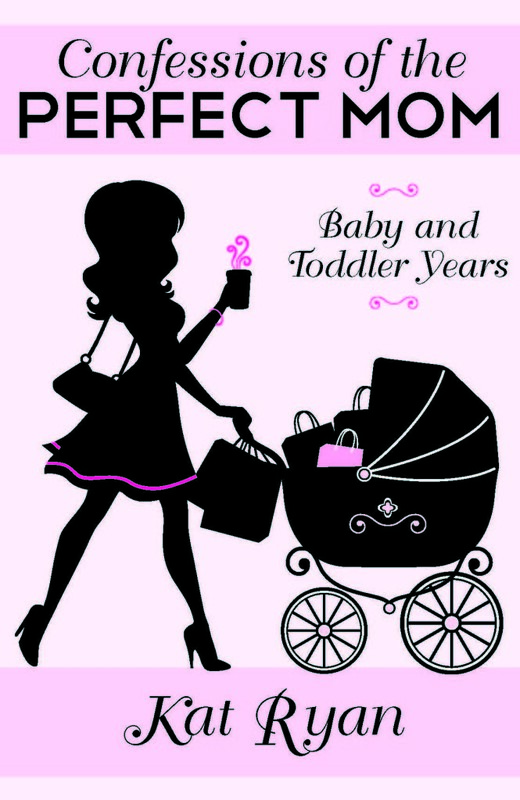 It seems that every year, the age for acceptably wearing makeup is getting younger and younger. I remember a time when it was frowned upon for anyone younger then high school to wear any makeup. And now it seems like girls in elementary school are wearing some form of makeup every day, to school. It seems that the question to be asking would be, “Is it okay for a tween to be wearing makeup and if so where/when is it appropriate to be worn?”. Most of our girls are not in beauty pageants (don’t get me started on those and the amount of makeup they have young girls wearing to complete), so there are many reasons to keep young girls from wearing it. In today’s world, it is our job to help keep our kids kids for as long as possible. The media, tv shows, their friends, have such a push to grow up (and wearing makeup is a step in growing up); we as parents should help our girls enjoy being little girls. There is no reason for a tween to be in a full face of makeup, making her look like she is 17. That might be getting her attention that she likes, but it will almost always be the wrong type of attention. On the other hand, there are a few over looked perks of letting your tween wear makeup. I consider a tween to be an 11 or 12 year old (anything less makeup should be a bare minimum and only for very very special events). At that age, your daughter still thinks that you are cool enough to know what is going on. They still trust you to let them know when they look good, verses wearing to much. They are still at an age where, while starting to branch out and becoming their own person, they still want to be like you. You can take advantage of this; by showing them how to apply it, when it is appropriate to wear it, and when they have applied to much or it is to dark for their age. My daughter Tink, is one of those tweens that is allowed to wear makeup most days. For me, I decided that it would be okay for a few reasons: fist she wanted to wear it. And had for quite awhile. Second, I wanted her to still be close enough to me to trust that I knew what I was talking about. Trust how I was showing her to apply it, would make her look her best and trust that I would never let her leave the house looking like a clown. I wanted to be the show her how, not some random teenage friend who is trying to figure it out themselves. So then, what is she allowed to wear and when. Well, my daughter wears makeup just about every day. But before you get on me for letting my 11 year wear makeup all the time, we do online school (I think that if she went to school, in her age appropriate grade level, I would not let her wear it to school) and she is actually in the 8th grade, so when we see friends they are mostly 13 year olds. If it is a typical day (errands, grabbing lunch and seeing a friend), she likes to wear mascara (since her eyelashes are blonde, they are nearly impossible to see), primer (we like Benefits Porefessional, it helps control the redness on her face that she gets from me), and a little lipgloss or a lip crayon. Very natural, very low makeup look, and just focusing on enhancing natural beauty. It’s not a whole lot, but enough to make her feel put together and a little more polished. If we are going out for dinner or charity event, she is allowed to either wear; full eye makeup (shadows, liners, mascara) in any color she likes and a clear lip gloss OR a simple eye (just mascara) and a bold lip (she is a huge fan of red lips). But never both (but many adults can’t seem to pull off both either). 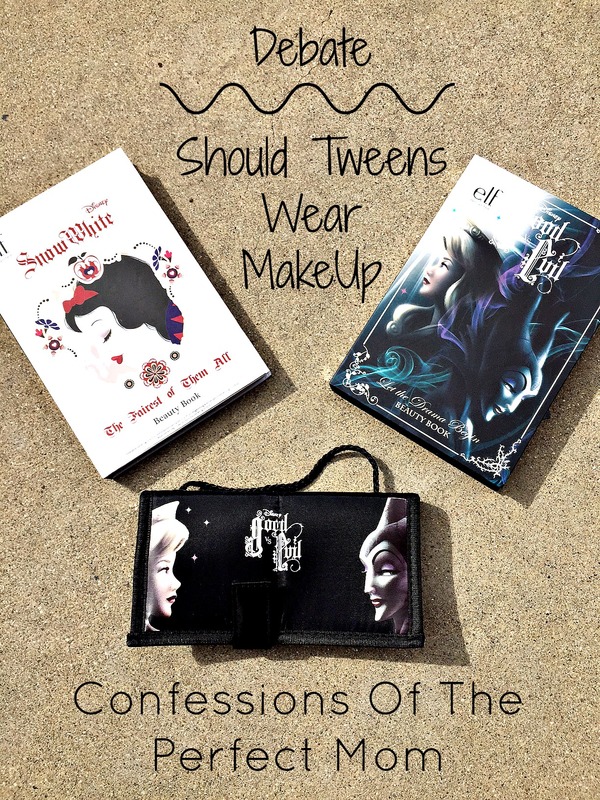 What about you guys, do you let your tween daughters wear makeup? Do you think it is silly for a tween to be wearing makeup on a daily basis? If you only have sons, what are you thoughts when we see a tween girl out and about wearing it? – I too remember times where it was frowned at high school. And utterly unthinkable before that. – I was one of the confident ones (or simply clueless) and didn’t (still don’t) care for make up. I hope my daughter feels confident enough to only wear some on special occasions and certainly older than 12. However, your reasons make a lot of sense. It is a way to bond. And every child is different not to mention they love mimicking grown ups. If make up is what she needs deep down, then by all means, you are her mother and you know best. My concern is, cosmetics have serious chemicals. Long term effect chemicals. They do tend to crack the skin (again in long term). Mascaras breath (emit gasses) near the eye, which can cause damage to sensitive individuals. If my child felt the need to wear make up, I would try to explain why she doesn’t need any and I would do my best to find products that are as light and safe, as possible. Thank you so much for such a thoughtful reply. I am feeling old saying, “When I was in high school.” lol. I have always loved makeup, while I don’t need it for my confidence (and often go out without any on), I like the artistic side of it. But I totally agree with you about the chemicals. We have many talks about that, and what to look for in a good product. Full eye makeup on an 11/12 year old even at night just seems like too much. I think it depends on the eye make up. Now a full black smokey eye might be pushing it; but just a few shades of shadows, liner and mascara might not be. It really depends on the girl and what her mother thinks. Thanks for the reply, I like hearing what everyone has to say. My daughter is 16 and wears little to no make-up by her own choice. I took her shopping when she turned 13 and she was angry with me. I have always liked make-up in moderation, but she doesn’t. I will say that in recent years I have backed off on how often I wear make-up. I don’t know that I made the decision intentionally or for a specific reason, but after not wearing it for a couple weeks I just didn’t start again. Now I’m wearing a minimal amount with the exception of special events. Perhaps we put too much emphasis on women of all ages disguising themselves. Good for her! It is hard to be confident without any, in this day and age. I think you hit the nail on the head about putting to much emphasis on wearing it. But I try to teach my girls to wear it for themselves, because they like to, or because it makes them feel better. Thanks for stopping by. Such a controversial subject, good on you for bringing it up. I think it’s great to get some make up tutoring in at an age where children are receptive. I think that at that age I was allowed nail polish and that was it. If it were my daughter I’d be pushing for as minimal as possible and focusing more on moisturisers, manicures, hairdressing and general maintenance without actual makeup. But I get that it’s fun and creative too and would probably add in tinted lip balms, tinted moisturisers for cheeks and eye makeup fun days. Lou Lou Girls recently posted…Star Wars Themed Holocron Treasure Hunt. I started wearing makeup when I was 7th or 8th grade. Some eye liner, a little bit powder for shininess, and some lip color. I love makeup a lot and if I had a tween, I would allow her to wear some makeup if she was interested. I feel like if a tween really wanted to wear makeup, they may probably end up doing so anyway even if you don’t like it. Since I don’t think it is harming anyone, I would rather allow my tween to wear makeup and be able to help them, than to have it done in secret. Thanks for sharing such an interesting post with us at the Merry Monday link party. Hope you’ll join us again next week! Sharing your post on Twitter! You are so right, at this age they are going to do it if they want to. Regardless of what you say, so it is an easy one to help them with. And not let it be a power trip issue. Thanks for the twitter share! !